Whatever Walt Disney could imagine, he createdand the world was changed for the better because of it. This fascinating read features precious concept paintings and storyboards that reveal how his ideas were brought to animated life. 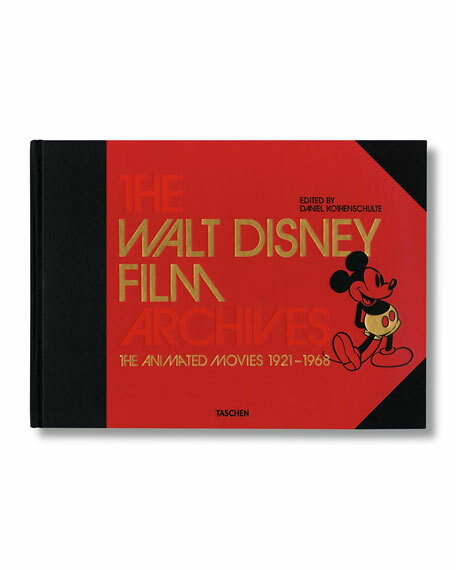 Produced with the assistance of the Walt Disney Archives and Disney's famous Animation Research Library, it is an inspiring and absorbing peek inside Disney's endless creativity, with chapters devoted to some of his most-beloved full-length features, including Pinocchio, Fantasia, Dumbo, Bambi, Cinderella, Peter Pan, Lady and the Tramp, and One Hundred and One Dalmations. Truly a cherished addition to your coffee table, library, or bedtime stories. 18.75"W x 2.5"D x 12.75"T.